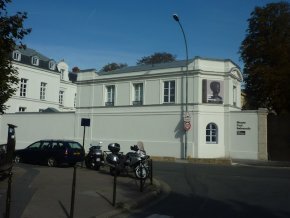 23/9/10 – Museum – Boulogne-Billancourt, Musée Paul Belmondo – The Musée Paul Belmondo (ill. 1) opened on 18 September 2010 in Boulogne-Billancourt where there is also the Musée des Années 30 and the Musée-Jardin Paul Landowski. 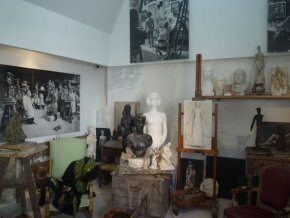 The collections have been assembled from the workshop holdings donated by his three children Alain, Muriel and, of course, Jean-Paul Belmondo. Although the creation of a new museum is of course theoretically always good news : is it really legitimate to devote a whole establishment to this statuary and, in the process, spend 8 million euros ? Paul Belmondo, as confirmed by a visit through the rooms, is undoubtedly one of the least interesting sculptors of the 1930’s (who continued to work until his death in 1982) and one of the most uninspired despite his great technical mastery. 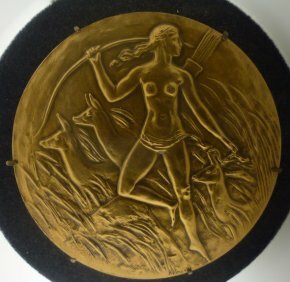 No one can obviously reproach these “30’s” or “Art Déco” artists for having wished to continue a tradition long overturned by the moderns, but it would have been preferable to do so with some particular talent, perhaps even with a touch of genius. In this case, Paul Belmondo is not Carlo Sarabezolles nor Alfred Janniot, or Joseph Bernard or Paul Landowski, a list which could be drawn out even further. Jean-Paul Belmondo’s insistence in defending his father’s legacy deserves certainly our respect but it is obvious that it is only the actor’s fame which has made this museum possible. Since it now exists, what can be said about it ? 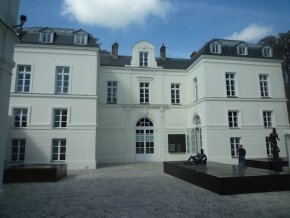 The museum was built inside a small 18th century château (ill. 2) which we were told no longer contained any of the interior décor and had been in ruins for some time. This allowed the architect to give free rein to his imagination thus creating a very modern layout and presentation. 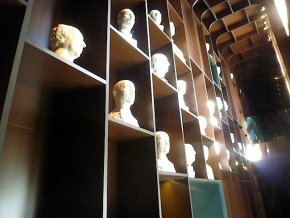 In between more traditional exhibition rooms, visitors walk down a long hallway, designed as viewable storage facilities, with niches covering the walls containing dozens of plaster busts which stare out at us (ill. 3). At eye level, resin copies allow the visually handicapped to touch the sculptures. The last floor houses about a hundred drawings (the donation includes around 800 which will be displayed on a rotating basis) which hang on the walls or placed in drawers which can be easily opened. The visit continues into a medals cabinet room which has been set up in a particularly astute manner to avoid a feeling of repetition as when they are displayed by the dozens in rows behind flat glass cases. These medals (ill. 4) in fact represent perhaps the most accomplished facet of Belmondo’s art. And despite our rather severe judgement, visitors will find here and there works of very beautiful quality such as a fine relief in the first room (ill. 5) or some very good freestanding figures. Presenting these pieces at the Musée des Années 30 would have been, in our opinion, a more fitting tribute to the memory of the artist than this accumulation of average works. We would also like to point out, in the entrance pavilion, a reproduction of the workshop (ill. 6) illustrating what it looked like to visitors. 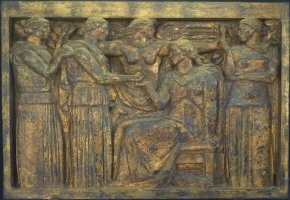 There is a terracotta on a wooden board, no doubt a Pieta, probably the last work in progress of the artist when he died. Strangely enough, this is perhaps the most beautiful object in the museum as if Belmondo had finally achieved that which he sought in vain throughout his artistic career.